Ovum’s Digital Consumer Insights 2018 survey has provided some interesting answers to the question of how consumers subscribe to music streaming services. Certainly, the availability of multi-user plans as well as bundled offerings with mobile access have been a big success but, until recently, the precise popularity of the likes of family and student plans was largely unknown. The results of this Ovum survey clearly show that family plans are a hit with subscribers, so much so that they are keeping a lid on music streamers’ average revenue per user (ARPU). Also, despite bundle deals for music services through mobile operators becoming less generous, a sizable share of subscribers still gain access to music through their mobile operator. Driving sales of recorded music in the last few years has largely been the responsibility of a small number of streaming services such as Apple Music, Deezer, and Spotify. These services have successfully convinced consumers that they do not need to own music but, for a fixed monthly fee, can access pretty much every track that has ever been released, or will be released, so long as they keep up the payments. Payment for a music subscription service takes a number of different forms. Consumers can either go direct to the service and pay monthly or make one single payment covering a year. That subscription can cover one person or a whole family (usually up to six people, including the account holder). Services also offer reduced-rate access for students. For a few years, users have also been able to take advantage of bundle deals with mobile operators that either roll in access to a music service for free with a mobile tariff or give a discount on the direct subscription price. The benefit for consumers is clear – lower-priced access to music. Mobile operators also benefit from increased “stickiness” of certain mobile tariffs, which boosts customer retention. However, as noted in the last couple of financial results presentations by Spotify, the rising popularity of discounted access plans has impacted on ARPU. No service has published precise details on how the total subscriber share is split by the different plans, but Ovum’s Digital Consumer Insights 2018 survey, conducted at the end of 2018, has shed considerable light on the uptake of the different plans. According to the survey, which took in the views of around 6,211 consumers spread across Australia, Brazil, China, Germany, the UK, and the US in December 2018, 60.7% of respondents said they took out a music subscription through a single package, while 34.7% said they accessed it via a family package, with the remaining 4.6% being students (see Figure 1). By country, the split offers some notable differences. For example, in the US, currently the biggest streaming market in the world, the family share was 43.4%, while in Brazil the student share was 9.9%. Given that a family subscription costs 1.5 times a direct subscription but provides access for the account holder and five other users, the survey findings suggest that the impact on ARPU could be significant, particularly if uptake of family packages rises faster than single-user subscriptions. Ovum’s Digital Consumer Insights 2018 survey also revealed details of access via bundled plans. Overall, 66.7% of subscribers held a direct subscription, with 22.2% of subscribers accessing a service via some form of mobile bundle, and 11.1% through a fixed-line service deal (see Figure 2). As with package access, there were differences by country. The UK had the highest share of direct subscriptions (76.3%), with China being the lowest (57%). Although bundled offerings with mobile and fixed operators have shifted over the last few years from being included for free with an access plan to simple billing arrangements, there are still plenty of bundled offers that give discounts on music subscriptions or extended free trial periods. Moreover, when respondents were asked about the addition or removal of a service bundle in the past 12 months, 24% said they added online music streaming compared to just 6% saying they removed music service access. So, at the moment at least, music bundling is still important for a significant number of consumers. Despite music streaming’s advances, it is worth noting that music access is still a relatively new way of listening to music, so slight reductions in ARPU through discounted plans and bundled access are not a problem at the moment. However, the issue of costs to services is something worth keeping an eye on. Eventually, services may be forced into looking at raising prices, and the obvious first target is the underpriced family plan. As Ovum’s Digital Consumer Insights 2018 survey has shown, the multi-user plans have proved popular, and a modest price rise is unlikely to result in mass subscription cancellations. The phrase “If all you have is a hammer, everything looks like a nail” originated with Abraham Kaplan in his seminal 1964 work on behavioral science. He applied it — as many parents have done ever since — to young kids. These days, blockchain technology is a hammer. An excellent illustration of how this applies in the copyright field is a draft whitepaper, How Blockchains Can Support, Complement, or Supplement Intellectual Property, from the Coalition of Automated Legal Applications (COALA), a think tank with roots at the Berkman Center for Internet and Society at Harvard. The whitepaper was mentioned at last week’s Open Music Initiative (OMI) meeting in London. A US Fourth Circuit appeals court has affirmed a previous district court ruling that global event promoter Live Nation has not violated the Sherman Antitrust Act by engaging in monopolization, tying arrangements, and exclusive dealing in the music concert industry. The long-running case began almost seven years ago when the Maryland-based music promoters, It’s My Party and It’s My Amphitheatre (collectively known as IMP), filed a suit claiming Live Nation had wielded its market power to entice and coerce artists to appear only at amphitheaters and other venues owned or operated by Live Nation. The appeals court said the promoters had failed to define the relevant markets or to demonstrate any anticompetitive conduct. After a lengthy period of annual falls in trade revenue from recorded music sales, Spanish trade body Promusicae has reported a second successive year of growth. Trade earnings from physical and digital formats and on-demand access services grew 6.9% in 2015. Although this rate of growth was much lower than the 20%+ jump in 2014, that year’s growth was boosted by unusually high CD album sales. Crucially for the future of Spain’s record companies, the rise in digital income in 2015 was almost all down to higher streaming earnings more than offsetting lower sales of CD albums and music downloads. Despite the continued good news, it is sobering to remember that total trade revenue is still a quarter of the size it was at the turn of the century. 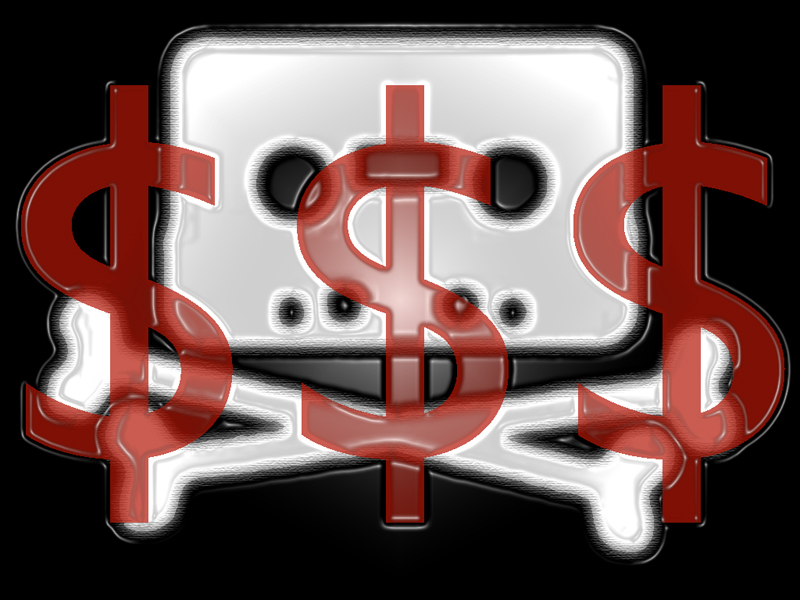 The International Intellectual Property Alliance (IIPA) has released its annual report detailing the impact that piracy and limitations on market access are having on US copyright holders in the worst offending countries around the world. Ukraine remained top of the IIPA hit list and the only country designated as a priority foreign country. In a slight change on previous annual reports, this year’s IIPA report focuses on markets where the organization believes that active engagement by the US government could generate positive results for creators and the industries that support them. The IIPA said that in several key foreign markets, recommendations adopted could create jobs, increase investment, and contribute generally to healthy economic growth in the US and abroad. In addition to the usual set of music industry statistics and news briefs, the latest issue of Music & Copyright includes a detailed South Africa music industry profile. South Africa is the biggest music market in Africa. Consumer spending on recorded music and live performance and royalty collections are significantly higher in the country than in any other market in the region. Despite its geographic location, South Africa is more akin to a Western music market and has far more in common with many countries in Europe and North America than it does with its closest neighbors. While this means per-capita spending on music is high compared with other countries in the region, the same problems encountered in the developed world in the shift from physical formats to digital have been experienced in South Africa. Although the rise in high-speed Internet access has exacerbated problems associated with the unauthorized distribution of music, the higher digital sales, rising smartphone penetration, and the move into South Africa by a number of international streaming services suggest the market may be heading for a brighter future. The annual survey by Ovum publication Music & Copyright of the recorded music and music publishing sectors has revealed that recorded-music leader UMG lost market share in 2014, mainly as a result of the sale of the Parlophone Label Group (PLG) to WMG in 2013, which formed part of EMI Recorded Music acquisition requirements. UMG’s loss was WMG’s gain and the smallest of the three majors narrowed the gap on second-placed SME. Sony/ATV held its lead in music publishing, but the collective share of the independent publishing sector was the highest overall. Following two years of consolidation in the recorded-music and music-publishing sectors after the breakup of EMI Music Group and the subsequent sales of EMI’s record and publishing divisions, restructuring and company selloffs have had an impact on the market share figures for the major music groups in 2014. UMG acquired EMI Recorded Music and a Sony-led consortium of companies bought EMI Music Publishing in 2012. National and regulatory approval required a number of company sales, which were completed with the sale of the PLG in July 2013. The timing of the sale meant year-on-year market-share comparisons for UMG and WMG this year and in 2013 were affected. Moreover, at the time of the PLG acquisition by WMG, the major said it would sell some of the PLG assets, or their equivalent value of owned assets, to independent companies. Strong interest by the independent sector has delayed the asset sales with more than 140 companies reported to have bid for around 11,000 artist catalogs. Should the selloffs be completed this year, WMG’s 2015 market share may well be negatively affected. According to Music & Copyright’s annual survey of the music industry, UMG had a 34.1% share of the combined physical and digital recorded music trade revenue last year, down from 36.7% in 2013. For physical revenue only, UMG’s share stood at 32.3%, while its digital share was 36.1%. SME was the second-largest music company, with a virtually unchanged combined physical/digital market share of 22.5%. The smallest of the three majors, WMG, was the only company to experience an increase in both physical and digital shares: Its share of revenue from physical recorded music sales was 15.7% in 2014, up from 14.8% in 2013, while the share gain was slightly lower for digital, rising to 17.7%, from 17.1%. WMG’s combined physical/digital share grew, to 16.7%, from 15.8%. The independent record companies’ share of combined physical/digital revenue also rose last year, to 26.7%, from 25.1% in 2013. The sector increased its share of both physical and digital revenue. However, the independents’ share of physical formats is still higher than its digital share. Music & Copyright has calculated that global music publishing revenue grew 2.5% in 2014, to $4.05bn, from $3.95bn in 2013. Despite a virtually unchanged market share in 2014 of 29.5%, Sony/ATV, the joint venture between Sony and the Michael Jackson Estate, remained the global publishing leader. Although Sony/ATV and EMI MP are still separate companies, with EMI MP repertoire administered by Sony/ATV, Music & Copyright has combined the companies’ shares. EMI MP is the larger of the two companies in terms of tracks owned and administered, with a publishing catalog of around 2 million tracks, compared with 1.6 million for Sony/ATV. UMPG is the second-largest music publisher. The company’s market share edged up slightly last year, to 23.0%, from 22.6% in 2013. Warner Chappell was the only major music publisher to suffer a fall in share in 2014. Independent music publishers have long dominated music publishing and compete well with the majors for major artists’ attention. Last year, the independent music publishing sector experienced a small increase in share: Music & Copyright estimates that independent companies accounted for 35.0% of global publishing revenue, compared with 34.8% in 2013. BMG Rights Management is the biggest of the independent music publishers and has gained share consistently through a mixture of company acquisitions and administration deals. Music & Copyright estimates that BMG’s share of global music publishing revenue was 5.4% in 2014, up from 5.1% in 2013. Kobalt has also made gains in the last few years, although increased revenue for the company has come from organic growth rather than through company acquisition. Music & Copyright estimates that Kobalt’s share of global publishing revenue increased to 3.9% last year, from 3.5% in 2013. Music is unquestionably important to most people’s lives, regardless of where they are in the world. Although not everyone spends money on recorded music or buys tickets to a gig or festival, a very high percentage of people listen to music on the radio at home or in their car. Restaurants, shops, and bars use music to create a particular ambience to encourage people to either relax or feel enlivened to improve their customers’ experience. Just how important music is to consumers was one of the many questions included in a consumer survey conducted by Music & Copyright publisher Ovum in July. Over a three-week period, 15,000+ consumers across 15 countries were asked a number of questions about their media use. In terms of importance, music was considered essential by 42% of respondents, and important by a further 43%. The world of online advertising is a pretty complex business. Media agencies buy advertising space on behalf of clients through ad exchanges with automated processes matching advertisers’ criteria to inventory offered by online publishers. This enables advertisers to gain placements and reach their target audience across a much broader selection of websites. From the loading of a web page to an ad being displayed, an auction has taken place and the winner’s ad is presented, all in just a few milliseconds. However, the process can sometimes result in ads showing up on sites they shouldn’t. Some brands take steps to avoid this and others act quickly when notified. But some don’t, and that is a big problem for content rights holders.